Following the overwhelming critical and commercial success of ABC’s “Black-ish”, creator Kenya Barris seized the opportunity to create a new show directed toward a younger and much sought after demographic. From that, the new spin-off “Grown-ish” was born. Airing on Freeform Wednesday nights at 8/7 Central, the show follows Zoey Johnson (Yara Shahidi), the eldest of the Johnson children, as she goes off to college at the fictional California University of Liberal Arts. Zoey was one of the most underutilized characters on “Black-ish” and this show serves as a showcase of Yara Shahidi’s talent. On “Black-ish”, a show filled with zany characters and expertly skilled comedic actors of the likes of Anthony Anderson and Tracee Ellis Ross, some of the secondary characters struggled to find time to shine. “Grown-ish” serves as the perfect opportunity to highlight Zoey Johnson as she leaves home and steps into an entirely new environment. Luckily, the spin-off was able to keep the narrated format of the original which made the introductions in the pilot episode feel seamless. This allowed for the general background information for the ensemble cast all to be presented without it feeling overwhelming. Deon Cole also brilliantly assists the cast, by playing oddball Charlie Telphy on both shows, who is probably one of the funniest people on television right now. His addition to the cast is a brilliant decision and will give “Grown-ish” an even better chance of retaining some of the original audience coming from “Black-ish”. Veteran television actor Chris Parnell also serves as the University’s president, adding some maturity to the cast. In addition to that, the occasional appearances from the main cast of “Black-ish” is always hilarious and beneficial to the overall narrative of “Grown-ish.” Anthony Anderson’s role in the opening scene of the pilot set the tone of the show right off the bat. The writing is just as sharp as it is on the parent show, and the jokes are whip quick. The fact that there is a steady flow of jokes also allows for the show to be as accessible as possible. Much to the writer’s credit, not all of the comedy is centered on college topics or experiences, making it as relatable to the masses as possible. 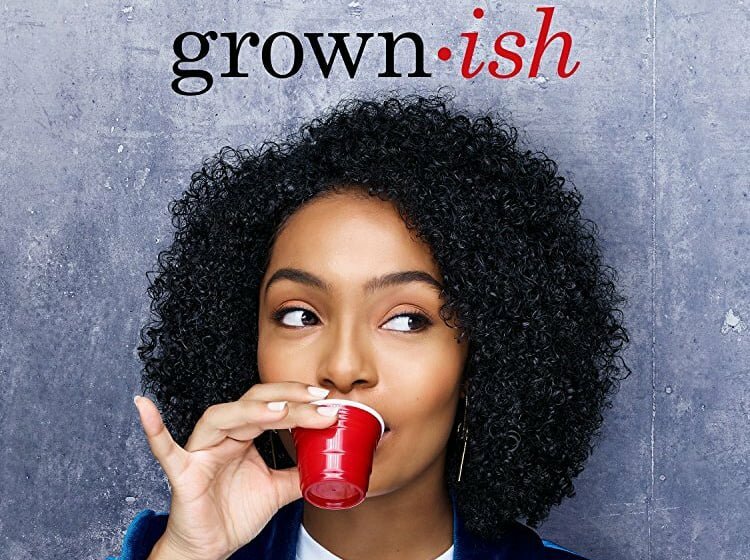 “Grown-ish” also brings in an ensemble of fresh faces. The cast is youthful and diverse which is perfect for Freeform’s target audience. It also consists of relatively unknown actors, allowing for these new stars to become de facto ambassadors for this generation of television viewers. In general, “Grown-ish” does not shy away from unpopular topics like parties and drugs of all kinds. At times, the show can seem like it’s trying too hard to be relevant to college life which makes some scenarios seem slightly forced. This attributes to the show’s overall sense of “wokeness”, or their attempt to be the voice of the younger generation. Though it may not be entierely relatable to all viewers, it’s subtle enough that it can be overlooked in the grand scheme of the show. Through “Grown-ish”, the very vocal Generation Z has now found a voice in primetime. As the show tackles topics of importance and relevance to today’s young adults, Generation Z has finally found some much sought after representation on a grand scale.